Bar Island is located where Berowra Creek joins the Hawkesbury River. It is counted as a very historically significant site. Evidence of Aboriginal occupation can still be seen in a large shell midden at the northern most point of the island. Its somewhat central position amongst the islands in the Hawkesbury made Bar Island a choice spot for the early river settlers and traders, to build a church. This was an Anglican Church known as St John’s and the first service was held there in 1876. Where once Easter was celebrated all that remains is the crumbling fireplace shown above. St John’s was to be a church and a school. The church was reported to be beautifully located and to attract not only nearby worshippers but sometimes visitors from Sydney. 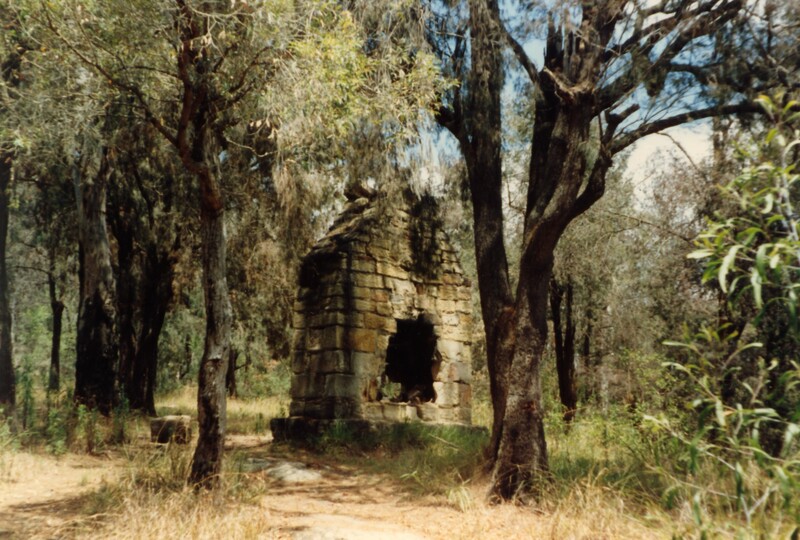 A cemetery was established on Bar Island and it would appear that as many as sixty burials were conducted there including those of tiny infants and Sarah Ferdinand, a pioneer of Marramarra aged 98. The church land has now been handed back to Hornsby Council in exchange for other land. The council has restored headstones in the cemetery and reconstructed the jetty at Bar Island. More detailed information about Bar Island can be found in Tom Richmond’s : Bar Island and Lower Hawkesbury River Settlements.